Parking.com has convenient parking for the Days Inn San Antonio Alamo/Riverwalk hotel. Refer to the map for more information on parking, such as rates, entrances, and hours of operation. 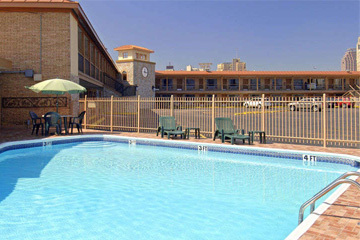 The Days Inn San Antonio Alamo/Riverwalk hotel is just off I-37, and steps from the Alamo, the River Walk, and Henry B. Gonzalez Convention Center.